He lived to tell one hell of a story! A man in China who got run over by a truck and escaped with just minor injuries has one hell of a tale of tell. 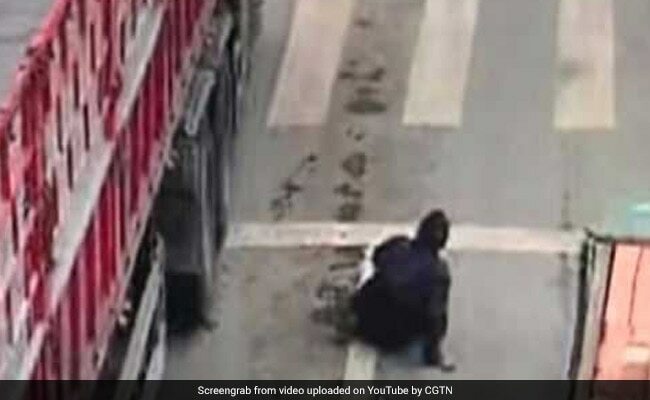 The unnamed man was trying to switch lanes on a busy road in Guiyang in southwest China when an oncoming truck hit his bike dragging it for several metres. But in a shocking twist of fate, which was caught on camera, the man emerged and was seen rolling away from the truck. Just seconds later, he got up and walked away from the spot. According to CGTN, the man suffered only minor injuries in the incident. Cops are investigating who was responsible for the accident which could have ended very badly for the biker.